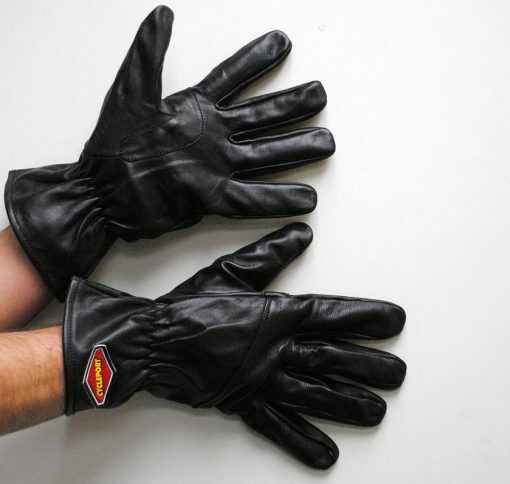 100% Calf Skin leather glove that is perfect for summer touring. 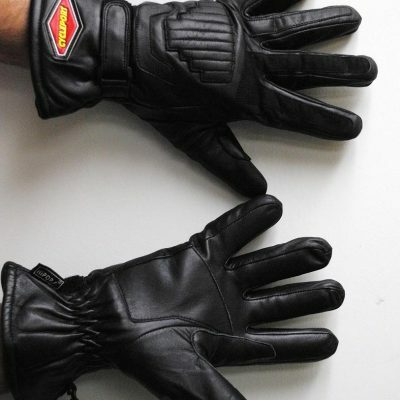 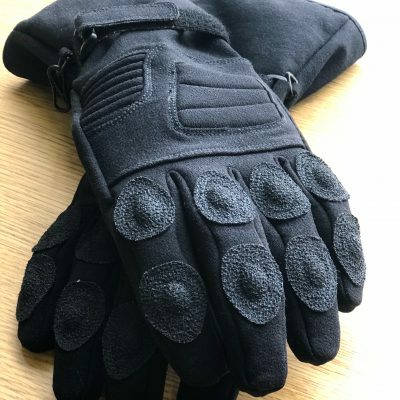 • Palm and thumb area has two layers of leather for protection. 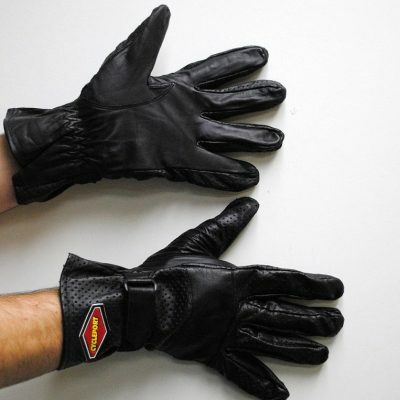 • Leather stretch panel located above the wrist.